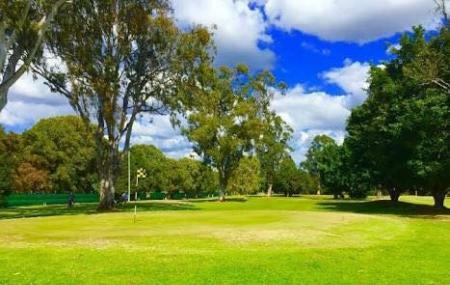 Find hotel near Carrara Gardens Golf Cour .. In the complex of KDV Sports Academy, the Carrara Golf Course is a state of the art golf course suitable for people of all ages and skills and that too, both day and night. The Driving Range is equipped with forty undercover bays offering the unique range in the Gold Coast in a split level. Five target greens and two elevated levels are there to let you practice in a challenging terrain. The state of the art Short Game Practice Area has also challenging elevation changes and rolling greens for putting, chipping and bunker practicing. The flood-lit 18-hole Mini Golf Championship Course is like a miniature version of the area and has levels easy, medium and hard. The par 3, 9 hole night golf course of Carrara Golf Course is also a favourite of the golfers. How popular is Carrara Gardens Golf Course? People normally club together Slideways - Go Karting Gold Coast and Parkwood International Golf Course while planning their visit to Carrara Gardens Golf Course. Ordered lunch today, there was only 5 people at most there with me and waited over 45 minutes and still nothing. I went over and asked what was the issue and the waiter told me she lost my order.. She said she would have it made straight away, after 10 more minutes I finally got my lunch without an apology and the meal itself was very average. The coffee was nice though but the professionalism of the staff there is very poor. I have only used the meeting room, mini golf and restaurant side of KDV Sports. The mini golf is a fun course and a short walk from the main complex. There are 2 meeting rooms. A downside is people must pass through the rear of the 1st one to get to the largest. I used the largest for a workshop and have also attended workshops here. Excellent facility with TVV and whiteboards. You can have classroom with desks or theatre style. Great natural lighting which can pose problems in the afternoons. Catering is available from the cafe/restaurant at reasonable rate. The cafe and bar lookout on to the driving range. I attend evening networking events here. Excellent relaxed atmosphere. Acoustics can make a "group" talk difficult to hear. The public can also use the facility while the event is on. The KDV Sports Centre also has a shop selling sports equipment and clothing, a gym, sauna and a swimming pool. I have heard positive comment about all. It also has a 9 hole golf course and tennis courts. Great parking. Access is only from the westbound side of the divided Nerang Broadbeach Road. Great venue! Only place in Australia to play padel at the moment. First time today due to rain closing my usual golf practice facilities. Staff were friendly enough, but the whole set up is weird... Step up onto 'mats' that move when you swing and no area to putt, chip or use bunkers (unless you're a member, big signs everywhere saying 'members only') Trying to get access to the ball dispenser with people and kids blocking the walkway was awkward and dangerous. Families with kids should be in a designated area up the end away from the main area for safety and access. I have no problem with young kids and families having fun, but the safety factor needs review IMO. The lack of working tees made use of driver a PITA. After moving 3 times to find a working "tee', I then found the whole "mat' moved when I swung my club. Toilets were cleanish, one overflowing urinal was pretty gross but rest of the area clean. Staff didn't seem to care when I mentioned it to them. At only 200m it's a bit short for solid Driver shots (my usual facility is 250m). But, all targets were at accurate distances (pinged with rangefinder), but due to elevation of the mats from ground level, getting a true ball flight and distance was off putting. Place was busy with probably less than 10% golfers actually practising. Most were families and groups out for some entertainment, which is cool, but. would be better if there was an area for serious practice to minimise risk of young kids walking behind while people are swinging. How some kids didn't get hurt today still amazes me. Great facilities for casual, novice and first time golfers. Very reasonably priced. However avoid on a Friday or Saturday night when it's overcrowded with drunken louts. Feels like a bar not a sports and leisure centre at those times. Staff are friendly and accommodating. Not recommended for serious golfers. Only a fool would purchase a membership. Try the racquet tennis for free the first time. Has a kiosk/cafe on site.